Boclair House Hotel Glasgow have handed over £4,008 to Glasgow-based charity Cure Crohn’s Colitis. Craig Haddow, General Manager of Boclair House Hotel, met charity director Liz Gallacher for an official presentation on the hotel’s lawn. 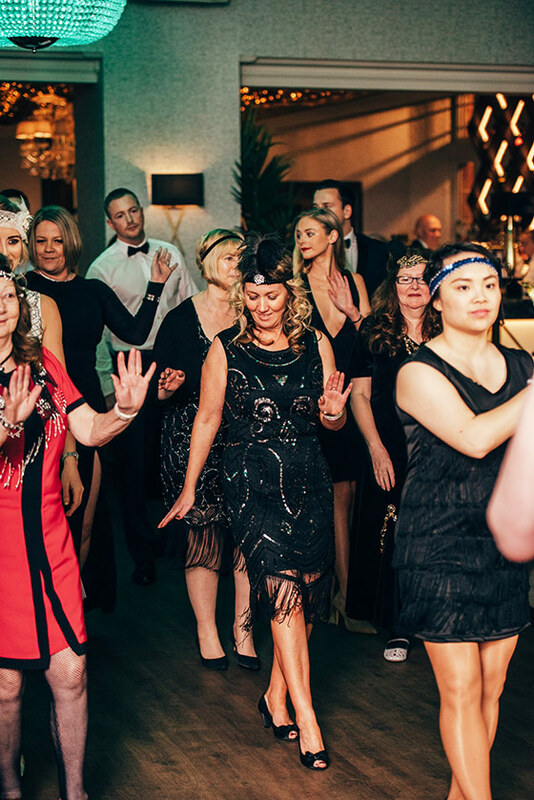 The funds were raised through a Great Gatsby themed ball, which was held to celebrate the Boclair’s first birthday. At the glamourous celebration, guests dressed up in their finest 1920s attire and displayed an abundance of feather boas, headdresses, sequins, natty dinner suits and shiny spats. The charity ball was the first of many events and challenges that the hotel will be holding in support of Cure Crohn’s Colitis. Also in the pipeline are plans for an Afternoon Tea. The Cure Crohn’s Colitis charity raises money to help fund research into the debilitating conditions of inflammatory bowel diseases such as ulcerative colitis and Crohn’s disease. There is no cure for these conditions, and Scotland now has one of the highest rates of IBD in the world. Every penny the charity raises funds research projects. Boclair House Hotel opened its doors on 31st March 2016. The iconic Grade B listed building underwent a dramatic £3million refurbishment which saw the former council office building transformed into a bespoke luxury hotel and stunning wedding venue. Our award-winning hotel was recently named Boutique Hotel of the Year at the Scottish Hotel Awards. Read more here. Liz Gallacher, Director of Cure Crohn’s Colitis, said, “A huge thank you to Craig and his team at Boclair House Hotel for raising this fantastic amount for Cure Crohn’s Colitis through the Great Gatsby ball. 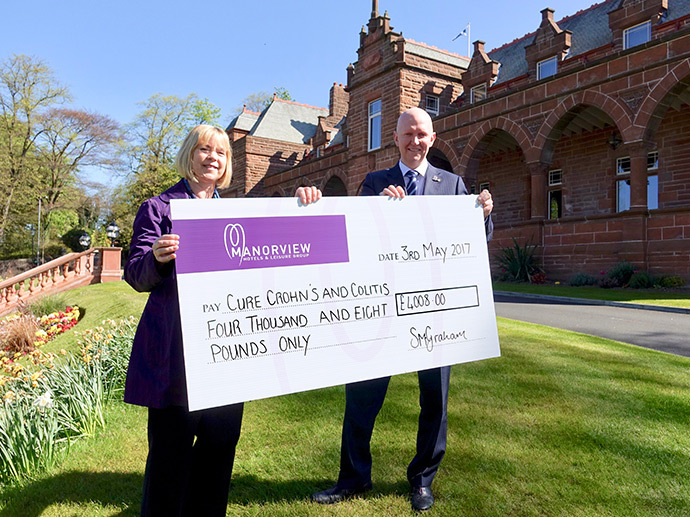 We are delighted the hotel plans to continue to support our charity with more exciting events planned.’ Cure Crohn’s Colitis is made up solely of volunteers and 100 per cent of all donations goes towards medical research in the effort to find a cure for Crohn’s disease and ulcerative colitis. At the moment, we are part-funding a pioneering new study called PREdiCCT to attempt to find the environmental factors which trigger the two inflammatory bowel diseases.